Apartment prices in New York City are skyrocketing, with demand still driving the prices up. 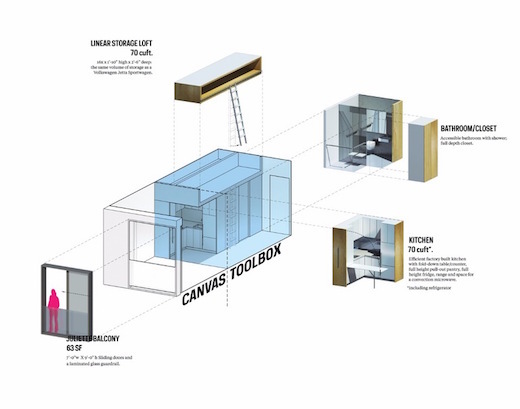 To help alleviate this problem, the architecture firm nARCHITECTS are in the process of constructing a modular building, which will feature only very small apartments. 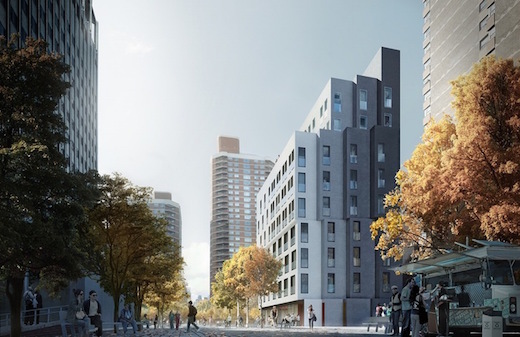 Modular construction and small size of the units will hopefully keep the rents affordable. 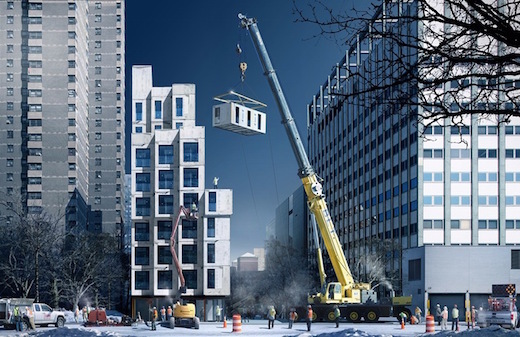 My Micro New York, as the building is called will also be the tallest modular construction in NYC. My Micro New York is located in Midtown Manhattan, or more precisely the Kips Bay area. It will feature 55 apartment units, which will measure 250-370 sq ft (23-34 sq m). 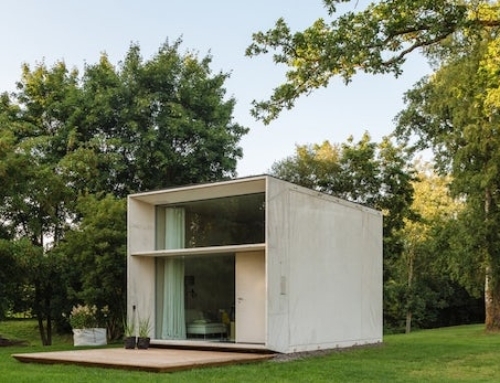 Despite this tiny size, the units were still designed in a way that makes great use of the available space, while letting lots of light and air into the tiny apartments. 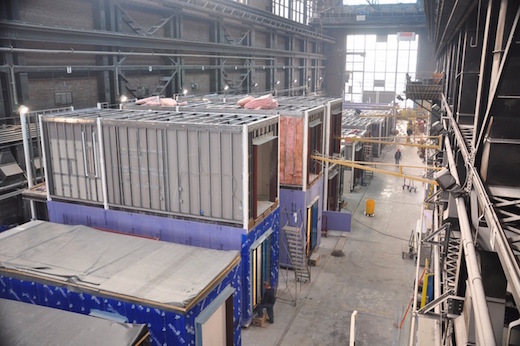 The units will all have an impressive ceiling height of about 10 ft (3 m), which gives the sense of greater spaciousness. The units will also feature a kitchen, a combined living and sleeping area, and bathroom, as well as a small balcony, and closet. The rest of the storage space will be placed overhead. 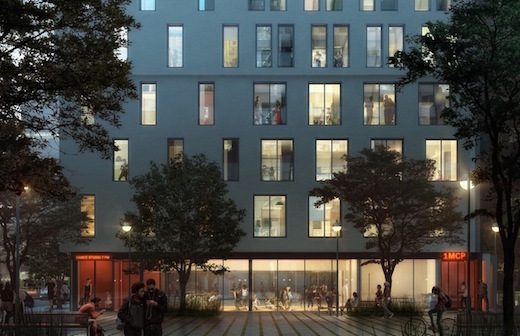 The building will feature a number of shared amenities, such as a gym, a small lounge, a roof terrace, a garden and a bicycle storage area. 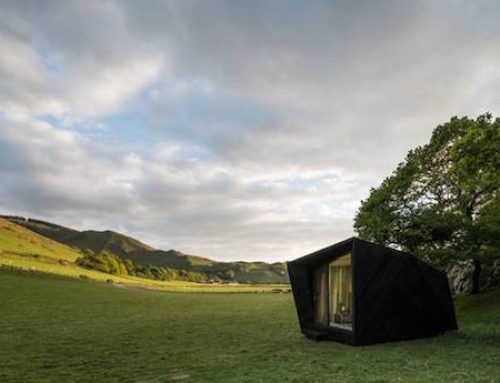 Being modular, the construction of this building will go much faster compared to traditionally built ones. 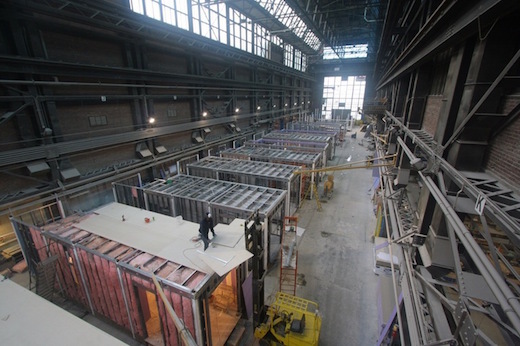 The modules were fabricated by Capsys in the Brooklyn Navy Yards, while the on-site construction, including excavation, building the foundation, and erecting the steel structure was already underway. From the pictures and plans it appears that each modular unit is actually an apartment, which is then lifted into place on site. 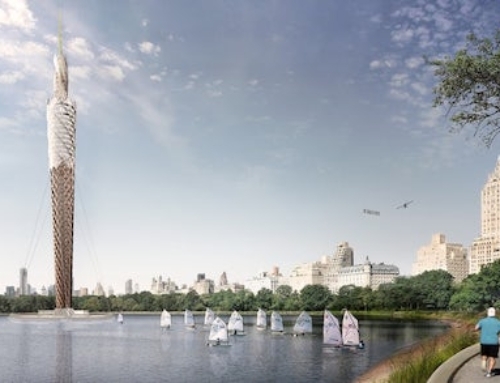 The My Micro New York building will be completed in December 2016.